Water view - just unpack your suitcases and go play! Completely updated and being sold turn key with beautiful furnishings with few exclusions. Four bedrooms 3 baths - all ceilings throughout the house have been raised - custom moldings -master bedroom addition with built-ins - all windows hurricane rated - pool & spa totally rebuilt and the screened lanai has been doubled in size. New security & music intercom system. Tile roof replaced - exterior painted 2019 - both a/c units replaced. There is even a fire pit! Enclosed dog run!! Too many upgrades to mention!! Long golf course & water views. Come and enjoy everything wyndemere has to offer: 27 holes of arthur hills golf 11 tennis courts - pickle ball - bocce - resort style pool - fitness center - restaurants - tennis & golf shops. Membership required. Wonderful wyndemere!! H. 14448 - this home has a one of a kind floor plan. Loaded with features and fine finishing touches. There are two master suites, one occupies the second floor and one poolside on the first. Three other generous bedrooms, one of which is being used as a den. A formal living room as well as a large family room both of which enjoy a nice view over the pool and lanai. Very high ceilings give the home a most spacious feel. The two car garage has an extra area that makes a great workshop or room to park a golf cart. Kensington golf & country club offers an outstanding robert trent jones, jr. Designed golf course along with the finest of country club amenities and lifestyle. Membership to the club is optional. H. 14327 south exposure pool home in kensington's yorktown neighborhood. Fabulous location, in walking distance to the new pickle ball courts, tennis, fitness center and clubhouse. This home has been impeccably maintained and is move-in ready. Special features include volume ceiling, generous windows and a beautiful pool and spa crowned with a new panoramic view pool cage. 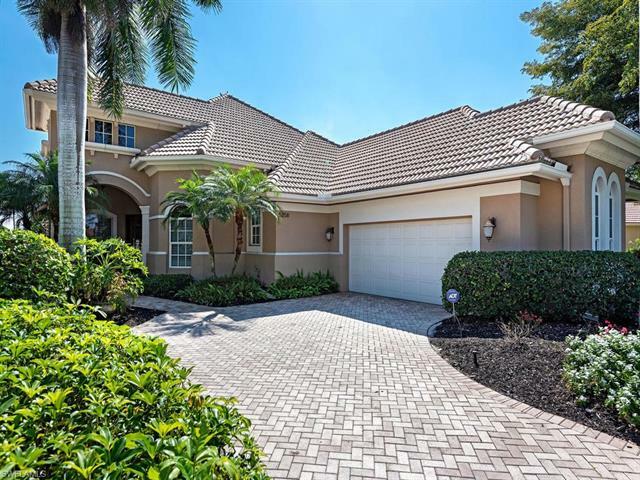 The over 3,200sf floor plan features an upstairs guest suite with an enclosed lanai affording expansive golf course views. The downstairs master suite features two large closets with custom built-ins, soaking tub, plus walk-in shower and separate vanities. In addition, there is a second guest suite and a generous den/office on the first level. The kitchen has granite countertops and ss appliances. A large breakfast room has a mitered-glass picture window. The living room has sliding glass doors that pocket into the walls for a refreshing, open air feeling. There are numerous upgrades including crown molding, new wood floors in the master, electric pool heater and central vacuum system. Beautiful brick paver drive and welcoming wood and glass double front doors. Perfect. H. 14501 - prepare to be wowed from the moment you enter this stunning home. Youll love the fully renovated open floor plan. The great room has wall to wall picture windows overlooking the 9th hole of kensingtons fabulous golf course. An 18 ft. Wall of sliding, storm rated glass doors expands the living room area on to the patio. The lanai features an extended stone pool deck, a new pool cage featuring the latest in panoramic window screening, beautiful landscape-lighting and remote-controlled storm screens. Enjoy beautiful sunrises in the morning to cool dinners under the covered patio. This is sure to be your new entertainment centre for family and friends! A renovated kitchen with granite counters & stainless appliances. 3 baths & 3 generous bedrooms, one is currently being used as a den. A formal dining area plus breakfast bar and study nook. The master bath has been newly renovated. New cortex floor in the master bedroom. New mechanicals in past year include trane a/c with 10-year warranty, water heater, pool heater and garage door opener. Even an a/c in the garage to protect your golf cart and car. Your home search ends here!